That point, made by Robin Nicoson, health and safety division chief of the Indianapolis Fire Department and former Perry Township Fire Department chief, resounded with a roomful of fire chiefs who are staring down the barrel of the same challenge. Nicoson and IFD Battalion Chief Rick Longerich laid out the terrain of the contentious topic at the annual FDIC training and equipment conference in the Circle City in April. Since 2004, IFD and the nine townships of Marion County, Ind., have been working through a process of multiple consolidations. More than 30 years prior, the city of Indianapolis had blazed a similarly uncommon trail when it came together and formed the first city-county unified government in the nation. That consolidation maintained the pre-Unigov autonomy and jurisdictions of police and fire services, but yielded expanded IFD borders that infringed on Pike, Lawrence and Washington townships. Unigov precipitated demographic shifts as well. 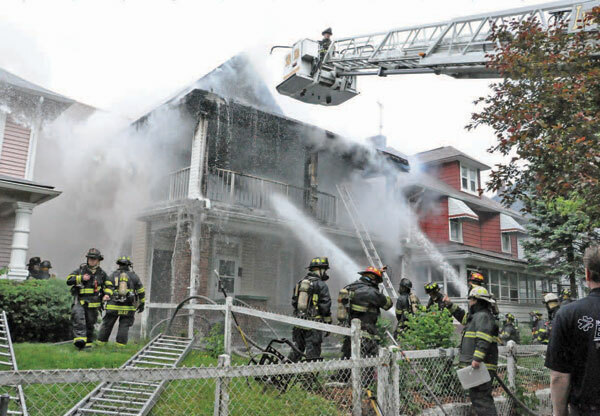 City dwellers migrating to the suburbs began to overreach the ability of some township departments to provide adequate fire protection services. The circumstance forced volunteer departments to become career or combination departments. At the same time, stations began relying on interdepartmental cooperation to increase their purchasing power and meet their equipment needs as well as to train recruits who came from each department’s separate hiring list. In 2010, Gov. Mitch Daniels promoted the abolishment of township government all together. The proposal failed, but by that time IFD had entered into conversations about voluntary consolidation. Chiefs and other administrators began reflecting on a history of interdepartmental cooperation, standardized communication through a central 911 call center and common command structures and the fact that although nine local unions represented the men and women of Marion County fire service, all used a common ICF command structure. There was no road map to follow, though. “We wrote the book. The only ones who had consolidated on this level before were in corporate America. And unfortunately, we did make some mistakes,” Nicoson said. Washington Township stepped forward to voluntarily consolidate in 2004. After two years of exhaustive meetings, planning and communication with personnel, the hope was that someone could “flip a switch” and make the initial consolidation complete. But details including uniforms, IT, pensions, union membership and seniority dogged both administrators and firemen to the tune of $34,000 in costs. That amount is pennies compared to the cost incurred by the fourth consolidation with Franklin Township, which set the fire service back $325,000. “Me issues,” as Longerich termed them, proved to be the most disconcerting challenges. For example, the townships’ dominant concern was bumping. 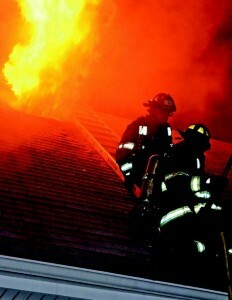 Fiscally, consolidation is often a worthwhile option for township or small city fire departments to investigate. But make sure the concerns and needs of fire protection personnel are given a high priority during the process, say Chief Robin Nicoson and Chief Longerich of the Indianapolis Fire Department. Longerich said. A good management/labor relationship facilitated the addition of “no bumping” language into the unified labor contract. Conversely, though, a union-proposed two-tier seniority schedule provoked considerable contention. Eventually, a single seniority system was adopted. Rank and file buy-in didn’t happen overnight. Open and frequent communication helped, they agreed — including IFD Chief James Greeson’s weekly cable television updates and bulletins regarding the outcome of consolidation meetings. Still, Longerich said, the leadership team could have sold it better. Two tactics that IFD employed to make consolidation palatable for township departments was to present a united front among all of the chiefs involved — along with a relentless dedication to keeping the rank and file regularly apprised of developments during the process. 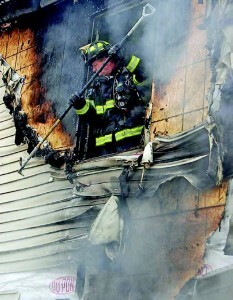 And even with IFD’s dedication to taking care of its own, a couple of undesirable outcomes wiggled through the cracks. One was that two employees wound up owing the department money from their first postconsolidation paychecks because of an oversight that happened during the integration of their station’s payroll. Consolidated departments stand to gain greater efficiency, standardization that leads to easier and less expensive equipment purchasing, reductions and eliminate duplications of materials and services and benefit from a larger pool of collective wisdom and experience. “To me, if a smaller department had the opportunity and could do this, it would be a home run,” Nicoson said. Longerich concurred that consolidation can be “painful” and hugely political.